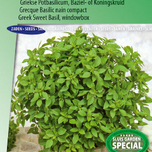 Visit our website now at www.seeds4garden.com and discover our wide variety of garden seeds. We offer flower seeds, vegetable seeds, and herb seeds of the best quality and for competitive prices. 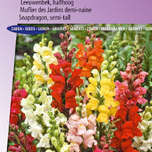 For each product we offer through our webshop we state the sowing time and harvesting time and, for our flower seeds, also the colour of the flower and the height it will reach on average. That makes the selection of your garden seeds a lot easier! And once you have ordered your garden seeds, they are also delivered to you super-fast! Curious already? Then quickly look further! What gives you energy? After a long spring day in the office, stretching out on the garden chair to chill out, or straight away putting on the gardening boots to get to work in the garden? We can already guess the answer and totally agree with you! What can be nicer than being outdoors, shovelling a bit of soil, digging little gullies, and sowing your garden seeds? And your (grand) children will also have a lot of fun when they are allowed to sow their peas and carrot seeds. Even during bad weather there is plenty to do, because a lot of garden seeds can first be sown under glass, after which the seedlings are planted out. Whether you have a beautiful greenhouse or a simple glass box: with a bit of sun and water everything will turn out fine! What can be a nicer present than a variety of garden seeds? Think of a few packets of tomato, pepper, or sweet peas for a friend with a balcony, a variety of flower seeds for the neighbour who loves her cottage garden so much, or a packet with different types of garden seeds for the young gardener (Bert Bean and Bros., Charlie and Camilla Carrot). There is something for all and for the little ones it is of course very educational!